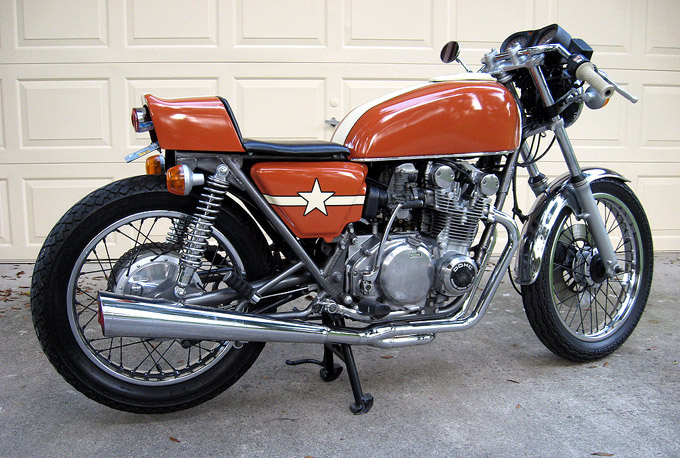 This 1978 Suzuki GS550 was picked up by Jason from Vintage Customs in Florida for $500. It wasn’t running but some simple tuning plus a rebuild of the carbs and he got this classic back to life. “The frame was cleaned up, all of the extraneous stuff removed, and painted in a metallic charcoal” Jason explains. “I found a new-old-stock 4 into 1 header which really sounded nice. I kept the stock tank and the rear fairing, built a seatpan out of aluminum which held the rear fairing piece and upholstered it in a black vinyl” he says. 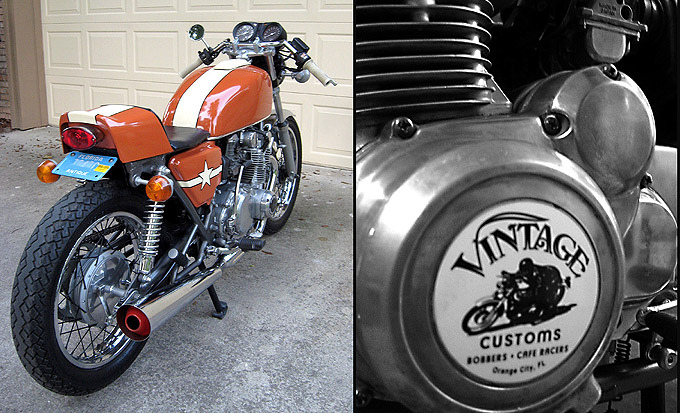 Jason recently quit his graphic design job to follow his dream of building custom vintage styled café racers and bobbers under the name Vintage Customs. His website isn’t up and running yet but you can view some of his other projects on his Flickr page.